This reach-in closet is a creative display of transformation for a reach-in closet under stairs with closet organizing accessories. 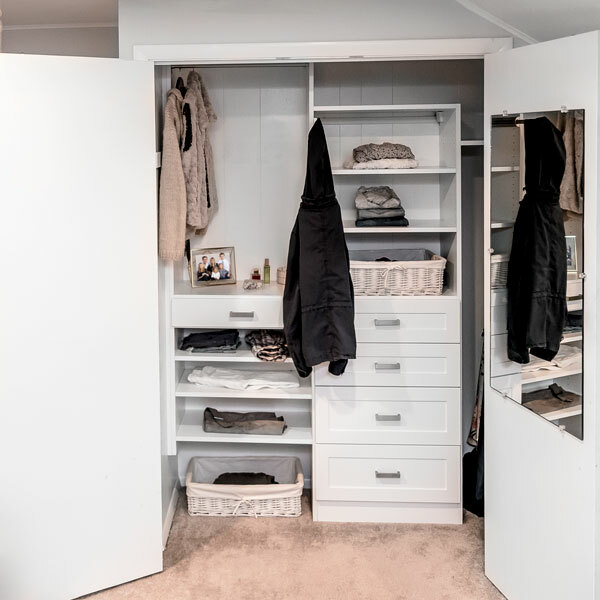 Simple additions of closet accessories including a valet pole and jewelry organizer give this closet more purpose in addition to the overall charm of the design. Also purposeful and definitely practical, the closet has a deep return with bonus hanging and shelving under the tricky slant created by the staircase. 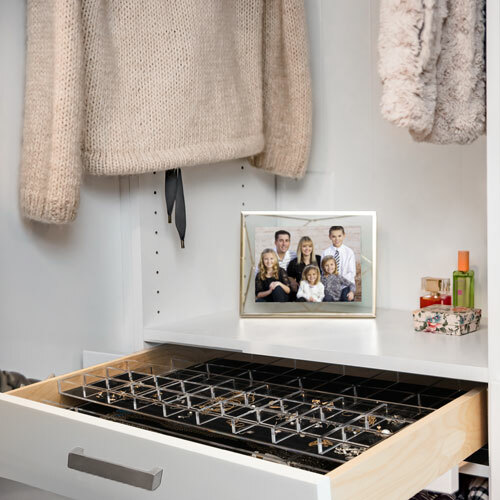 Closet accessories can instantly transform a closet to become more personalized and special to your storage needs. View our blog post on our Top Closet Accessories or view them directly on our Closet Accessories page. See our Slanted Ceilings and Challenging Spaces page for more ideas of closet under stairs examples. Features include an elegant jewelry drawer insert to protect and organize jewelry. 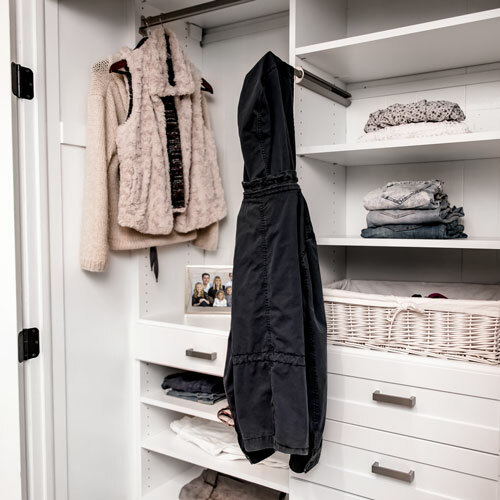 A valet rod is a unique closet accessory in this reach-in closet. 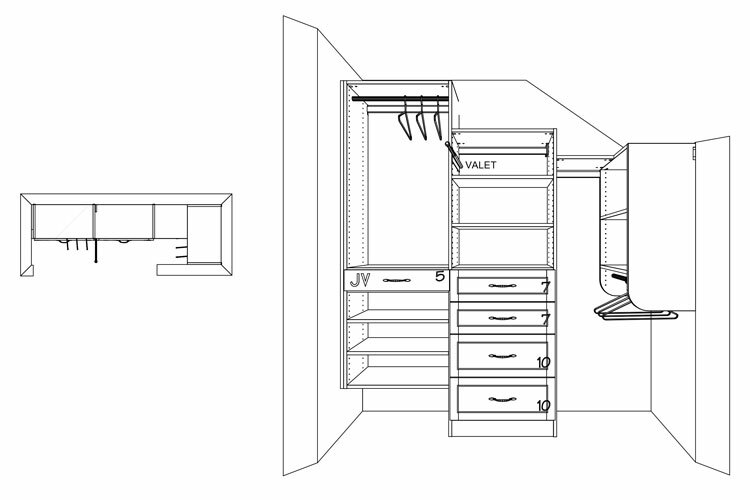 Closet plans for unique design under stairs with closet accessories.